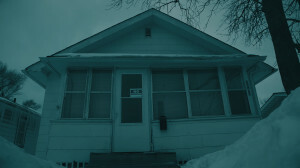 Home » Gag Reflex » Review: “Demon House” leaves you disturbed and uneasy. If you have scrolled past the Travel Channel, ever, you’ve seen a show called “Ghost Adventures” airing. It’s pretty much on every single day. The host visits some of the most famous haunted locations in the country. For me, the show is something I’ll have on in the background if literally, nothing else is on. I do enjoy the history of each location and the eyewitness accounts of creepy goings-on. As for the actual paranormal investigation, well it all feels a bit forced and hokey. Enter a Gary, India house that has been one of the most documented haunted places in the US aptly dubbed the “Portal To Hell”. “Ghost Adventures’ host Zak Bagans heard about the house and decided it was a good idea to purchase the home, sight unseen, over the phone. This is how Demon House the documentary was born. Through interviews and dramatic reenactments of incidents witnessed in the house by former residents and those surrounding the family, the film has an odd feeling to it. Much like “Ghost Adventures” things get creepy mostly off camera or in the shadows. Zak, usually an overly zealous guy feels more and more subdued as the investigation rolls along. He and his crew become wildly aggressive, sometimes ill. Death surrounds anyone who attempts to attach themselves. There is no denying the sheer number of things that have been experienced in connection to the house. They are downright disturbing. Below, you can check out some of the media coverage that has appeared over the years. The film begins with a warning to viewers, admittedly a jarring opening. While I’m not sure how Demon House fairs as a doc, I am certain that for two straight weeks after viewing the film, I was seeing things out of the corner of my eye, both my young children were mysteriously waking up around 3 am screaming, and a general feeling of unease has lingered in our apartment. 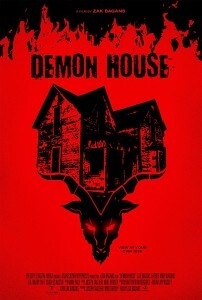 Demon House is worth your time for the mere hint that maybe demons are closer than we’d like them to be.